Washington — Today, the Senate passed H.R. 3021, America’s Infrastructure Act of 2018, sending it to the White House to be signed into law. The bill contains significant measures that benefit rivers and clean water and will improve public health and safety. “America’s Infrastructure Act of 2018 makes real progress on improving the nation’s infrastructure without undermining bedrock environmental laws. This bill proves that strong infrastructure and environmental protection go hand-in-hand. The authors of this bill, Representatives Shuster, DeFazio, Walden, and Pallone, along with Senators Barrasso, Carper, Inhofe, Cardin, Murkowski, and Cantwell should be congratulated for their leadership,” Irvin said. The bill’s action on flood protection is timely, as climate change is bringing more frequent and severe flooding, and another hurricane is threatening the Southeastern U.S. The bill directs the Army Corps to consider natural infrastructure alternatives when developing projects to reduce flood risk. “Natural infrastructure, including floodplains and wetlands, must be our first line of defense when mitigating flood damage. Restoring floodplains to give rivers more room to accommodate flood water, while shifting development to higher ground, is the best way to keep our communities safe,” said Irvin. The bill also requires the Army Corps to consider environmental restoration options, including dam removal, when evaluating potentially outdated infrastructure. The bill clarifies that the Corps can pursue removal of outdated infrastructure under existing programs. 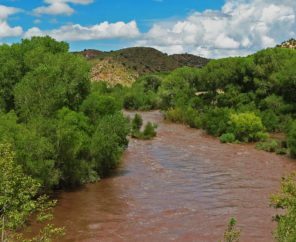 “This is great news for communities that are stuck with outdated dams. Getting rid of obsolete infrastructure and restoring a natural, free-flowing river makes sense for taxpayers, the environment and local economies. Having Congress direct the Corps to not only evaluate, but pursue dam removal when it makes sense, is a big step toward the restoration and revitalization of rivers nationwide,” said Irvin. H.R. 3021 also addresses the nation’s clean drinking water needs. 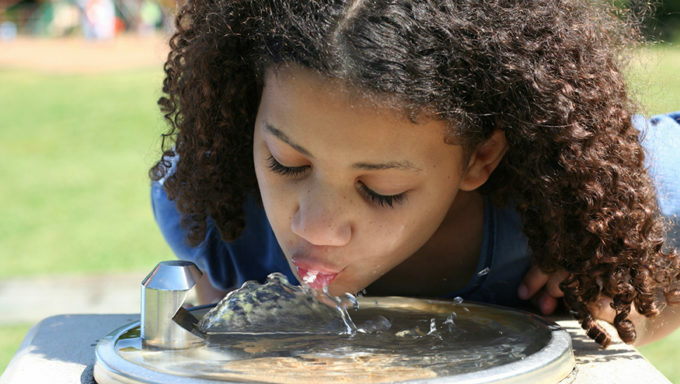 The bill doubles funding for drinking water infrastructure funded under the Safe Drinking Water Act and creates a new grant program to replace lead drinking water fixtures in schools. “This is an important down payment on protecting our children’s future by ensuring that every school and every household has safe drinking water supplies,” Irvin said. H.R. 3021 contains the most significant changes to hydropower law enacted in more than a decade. The bill will encourage utilities to upgrade their dams before their licenses expire, promotes the responsible electrification of non-powered federal dams, and makes it easier to generate electricity from conduits, all without undermining fundamental environmental protections. Despite all of its positive reforms, H.R. 3021 is not perfect, and includes some harmful projects including the “One Lake Project” on the Pearl River in Mississippi. American Rivers named the Pearl River among America’s Most Endangered Rivers of 2015 because of the threats the unproven flood management scheme poses to river health, fish and wildlife, and public safety. American Rivers protects wild rivers, restores damaged rivers and conserves clean water for people and nature. Since 1973, American Rivers has protected and restored more than 150,000 miles of rivers through advocacy efforts, on-the-ground projects and an annual America’s Most Endangered Rivers® campaign. Headquartered in Washington, DC, American Rivers has offices across the country and more than 275,000 members, supporters and volunteers. Rivers connect us to each other, nature, and future generations. Find your connections at AmericanRivers.org, Facebook.com/AmericanRivers and Twitter.com/AmericanRivers.